The design of this bike rack supports the frame of the bike while keeping the fork from twisting. The result is convenient, orderly bike parking. 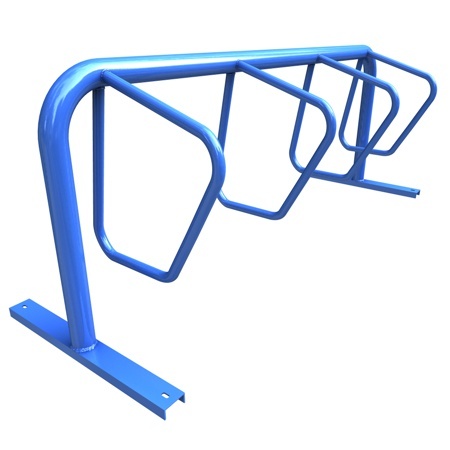 The Campus Rack is available in single or double sided models in various lengths. The single sided model is ideal for sidewalk placement, while the double sided model staggers bikes opposite from each other for greater space efficiency. The Campus Rack will also accommodate scooters.